Quick, easy and generous ! A tax deduction of 66% of donations for an individual (reduction of income tax up to 20% of taxable income, which can be carried forward over five years if this ceiling is exceeded). 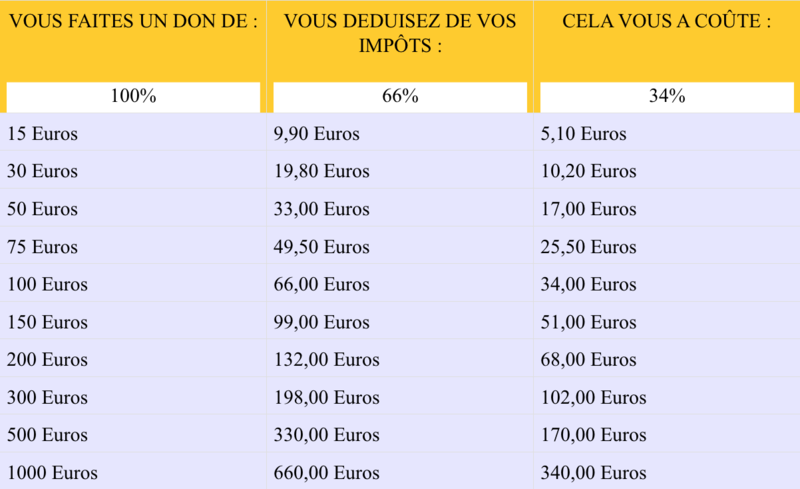 Thus, after tax reduction, a donation of 30 euros will cost you only 10,20 euros and a donation of 50 euros only 17 euros. A tax deduction of 60% of donations for a company (reduction of income tax or corporation tax up to 0.5% of turnover excluding tax, carried forward over five years in case of excess of this ceiling. To receive the tax reduction, you will need to attach to your tax return the tax receipt that Care & Lifes will send you. If you file your taxes on the internet, you do not have to send a receipt.Nevertheless, you will have to keep it in case of any request from your tax center. 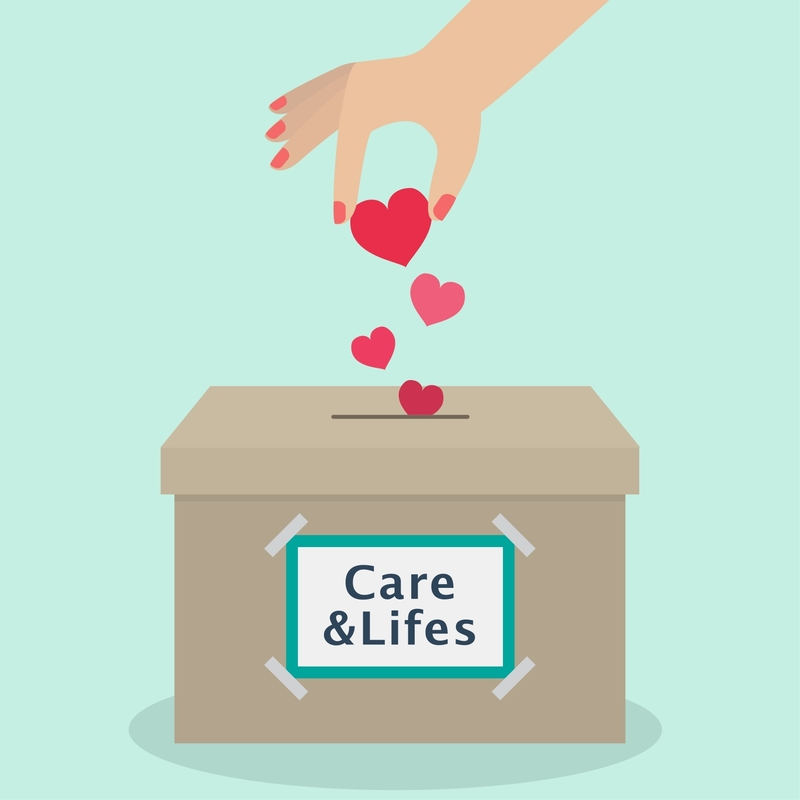 To make a donation to the Care & Lifes Association, several means are at your disposal. You can make a donation by going directly through your Paypal account, by sending a check to the head office of the association or by direct debit. Do not hesitate to contact us with any questions regarding donations or either to ask us for a receipt for the tax deduction.You can also make a donation via bank transfer. Contact us by email to receive our bank details.